Have you drop your iPhone in water or have you use one of those dodgy charger that smoked your charger port? And your phone will de dead after that incident. Few People maybe find out their phone got stuck on apple logo or keep rebooting within few second. You maybe Tried to restore with iTunes but Is it showing Error 14 or Error 9? 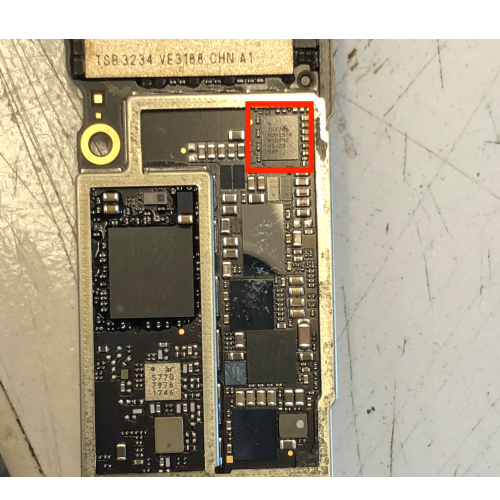 because Is there an iPhone 8 & 8 plus U2 charging (1612A10 ) IC Fault? Don’t panic because these are common issues with apple devises (iPhone 6,6s,7,8). Here is some problem you probably facing with your apple devises. U2 chip is easily burned out due to unprotected voltage fluctuations common to use of non-Apple chargers or Sometime this chip can be faulty due to leave it on charge for more than 24 hours. This is a common fault and is widespread, we will see chip that show one or more of these Common issues. Mobile Expert Technician are experts in repairing Motherboard and all other chip on logic board.